Roadware Concrete Mender™ Off-white - J.D. Honigberg International, Inc. 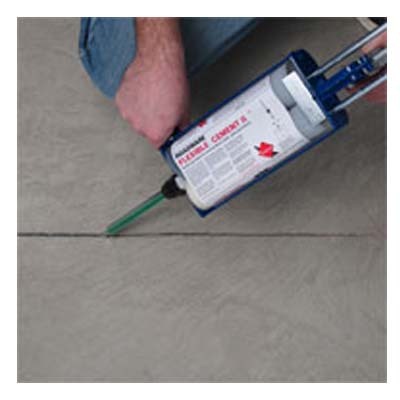 Repairing Polished and architectural Concrete with Concrete Mender™. 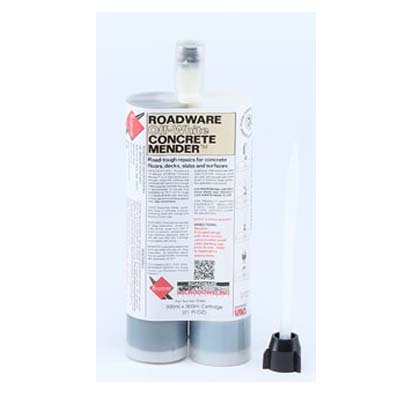 SKU: Roadware Concrete Mender™ Off-white Category: Roadware Inc.
• Repairs may be polished in 10 to 15 minutes. • Repairs will not gum up, tear-out, or smear into the surrounding surface when polished. • Use with a variety of sands and pigments to achieve different colors and textures. 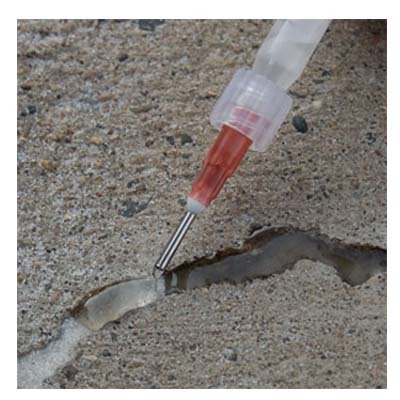 • Microdoweling™ action gets in deep and repairs the concrete from the inside out. • Architectural color, patterns and surfaces can be maintained. • Twin cartridge pin-point application for small cracks and joints. • Bulk bucket mix application for spalls and large area treatment. • Cures in a wide temperature range from –20F to 100F. • Worldwide network of trained distributors. • Available in gray or natural white. • Fill divots, pop outs, and bolt holes. • Fill spalled control joints. 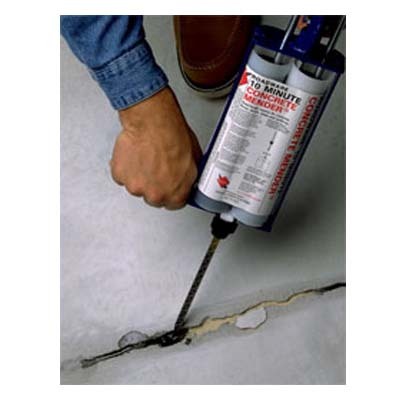 Roadware Concrete Mender is used to quickly repair cracks and spalls in concrete. Concrete Mender™ combines exclusive Microdoweling™ technology for a permanent structural repair and user-added colors for a repair that looks great. Cures in 10 – 15 minutes. User may add color to match existing concrete. May be blended with a wide variety of dry sand for matching color and appearance. May be honed and polished in about 15 minutes at 70°F. Will accept concrete dyes after honing. Will adapt to colored sand or quartz for endless color combinations. Roadware colors added directly to cartridges or dry powdered concrete colors added to the sand.